Some evangelicals perceive monasticism as a relic from the past, a retreat from the world or a shirking of the call to the Great Commision. But the monks and nuns of centuries past actually have a great deal to offer contemporary evangelical spirituality, says Torrey Honors Institute professor Greg Peters. His new book, The Story of Monasticism, released in August, recovers the riches of the monastic tradition for contemporary spiritual formation and devotional practice, explaining why the monastic impulse is a valid and necessary manifestation of the Christian faith for today's church. Peters specializes in medieval and spiritual theology and has become Biola’s monastic expert — he also refers to himself as Biola Monk on social media, which fueled the title of this Q&A. In Fall 2014, he was a fellow at Biola’s Center for Christian Thought (CCT), where he assessed the compatibility of monasticism with a psychology of formation. He also has written multiple books on monasticism and the church. Biola Now asked Peters about monasticism and its relevance for Christians today. In my last semester of undergraduate studies I discovered monasticism. Though I am not called to be a monastic (I am happily married with two kids) I have not been able over the past 20 years to shake my love of monasticism, seeing all along that it has much to teach us if we will simply listen. I wrote this book because evangelicals do not always know their church history very well and I wanted to show that not only is monasticism an institution that we should embrace, but that it has much to teach the contemporary evangelical church. The book attempts to do that and I hope it succeeds. Why do you believe monasticism is relevant today? Monasticism is relevant today because so much of what the monastic life addresses are the realities that many (if not most) Christians deal with each day. We are called to pray, so monks give themselves over to prayer. We are called to work, so monks give themselves over to work. We are called into community, so monks vow stability to a particular community. We are called to love God and neighbor, so monks seek to create an environment that allows them to do this in a particular manner. It is not a better way than other options, but it is the monastic way. As well, monastic history is loaded with examples of the ways in which monks have shown us how we are to live out our Christian faith: monks have been counter-cultural just as we are called as believers to stand against negative cultural influences; monks have demonstrated what a disciplined life dedicated to God can look like; monks have cared for the poor and needy, etc. These and many more examples can be found in The Story of Monasticism. Why is the monastic impulse a valid and necessary manifestation of the Christian faith for today's church? The most persuasive reason to do anything in life is because God has called you to it, whether that be getting married, remaining single, going to graduate school, becoming a professor or psychologist, etc. Because God is in the business of calling people to the monastic life, then there must be monasteries in which those folks can live out their God-given calling. The validity of monasticism (as is the case with all vocations or institutions) is found in the one to whom monastics vow themselves in humility, chastity and obedience. God calls, therefore people respond and that is as true for monasticism as it is for pastors, for example. Because if God chooses men and women to be monks and nuns, then we need monasteries. What does contemporary evangelicalism have to do with monasticism? To be truthful, not a lot. There is a historical distrust of monasticism by evangelicals because it is seen as Roman Catholic or Eastern Orthodox, though this ignores the reality that there have been monastics in the Protestant churches on and off since the Reformation. Further, evangelical subculture has historically championed the married life to such an extent that it has failed to account for those in its midst who might not be called to marriage, much less those who felt called to the monastic life. Though many evangelicals champion the work of Dietrich Bonhoeffer, they fail to realize that his seminary at Finkenwald was, to a great degree, a monastic community. Monasticism, in thought at least, has always been a part of the Protestant church (e.g., Martin Luther) but evangelicals have failed to respond to this God-inspired way of life, though that is changing. Do evangelical Christians and monks share the same beliefs? Yes and no. A Roman Catholic monk will not have the same beliefs as an evangelical monk, for example. Tautologically, however, an evangelical monk will agree with evangelical theology. Monasticism itself does not have a unique system of beliefs, so it is compatible with different Christian traditions, which is why we find monasticism in the Protestant, Roman Catholic and Eastern Orthodox churches. What practices from monasticism should Christians take into their daily walk with God? The most obvious I think would be the discipline of daily prayer. Prayer, of course, is expected of all believers and monasticism in particular is dedicated to a rhythm of life that is centered around prayer. Monastic communities set a model example to the church in this regard and their dedication to prayer is commendable. Monks also live their common life according to a rule, such as the Rule of Benedict. Given that many believers seem unable to live a disciplined life the ruled lives of monks become another area that we should emulate. 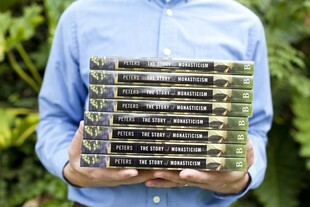 Read more of Peters’ thoughts on monasticism in his new book The Story of Monasticism, his book Reforming the Monastery, or this First Things article “The New Monasticism Gets Older but Will it Grow Up?” authored by Peters. Watch some of Peters’ lectures and cultural conversations on Open Biola. Learn more about the Torrey Honors Institute. 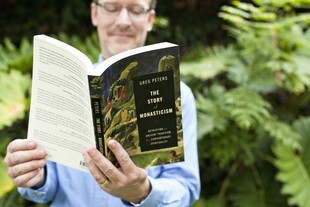 Dr. Greg Peters is a native Virginian who loves to travel (especially in Europe) and read. When not reading for work, Peters reads for fun. He enjoys the fiction of Paul Auster, Bernard Malamud, Chinua Achebe and the 19th century Russian novelists. In addition, Peters loves the poetry of John Donne and George Herbert. When it comes to non-fiction, he enjoys reading anything that has to do with theology, monasticism or the history of the Christian church. When not working or reading he enjoys spending time with his wife Christina and two sons, Brendan and Nathanael. 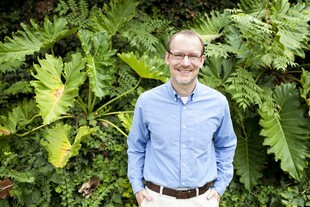 In addition to being a professor at Torrey, Peters is an ordained pastor in the Anglican tradition, serving regularly in his local parish. Greg, I, too, have an affinity for monasticism, due to my personality. However, I have been married to my wonderful other for 47 years. It is God's will that I grow in and practice actively being loved by and loving God and my wife. Having ministered in a Roman Catholic country for many years and colleague with a former leader in that church, I have to disagree with you that monasticism does not have assumptions and a belief system. It assumes monism, that is, that all reality is one, and everything, every person and every belief has to fit into that one. Radically different is the Bible. It begins with perhaps the oldest words in human history, and certainly the most radical: "God created the heavens and the earth" = two realities, both distinct. Everything in life depends on which one starts with, monism, or Bible, for one's thought, word and deed.